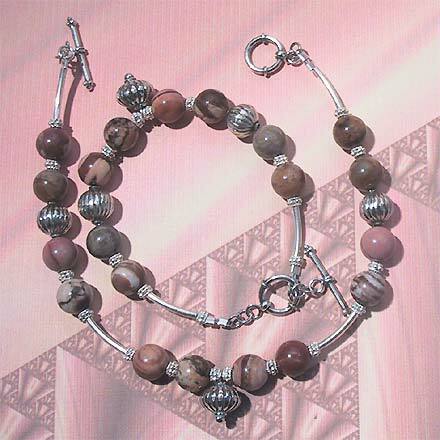 Sterling Silver Brown Zebra Jasper Anklet (outer) and Bracelet (inner-SOLD). The colors in these Brown Zebra Jasper beads are very reminiscent of a chocolate fudge sundae, perhaps with butterscotch and the nut of your choice. The anklet is 9¼".